Dr. Melinda S. Kavanaugh earned her Ph.D. in social welfare at the University of Wisconsin-Madison. Her primary research area addresses caregiving youth/young carers, an isolated and little known caregiving population of children and teens acting as caregivers for family members with chronic illness. Dr. Kavanaugh has been interviewed on youth caregiving, and presented both nationally and internationally around caregiving youth, youth program development, and the inclusion of youth in state and national caregiving policies and programs. Dr. Kavanaugh’s translational research focuses on the social, physical, and psychological impact of caregiving on young carers, and how best to design caregiving support and training programs inclusive and supportive to youth. Her area of clinical expertise is in neurological disorders including Huntington’s disease (HD) and Amyotrophic lateral sclerosis (ALS). Her research is influenced by her experiences as a medical social worker including her time spent as clinical social worker for the Huntington’s disease Center of Excellence at Washington University School of Medicine in St. Louis, Missouri. Development of Youth Guides and Supportive Materials for Children and Youth in Families with ALS. 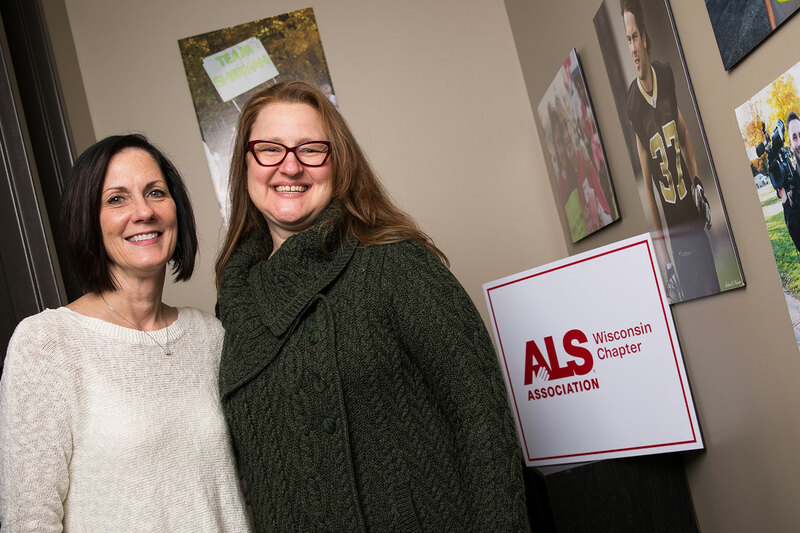 Using data from the National ALS Family Study, three youth guides developed to help children and youth understand and talk about ALS, caregiving, friends and school, and its impact on their lives. Development of Families and ALS Resource Materials. Materials developed as a comprehensive tool for families and professionals to use as a guide for family and patient support, program development, and potential services. The manual will include data from clinical practice, research, and the ALS community. YCARE: Young Caregiver Training and Intervention Project Development. Multi-disciplinary caregiving skill and support protocol development for children and youth providing care for a family member with ALS. The South African ALS experience: Evidence from family based interviews. Project in collaboration with the ALS/MND Association of South Africa and Stellenbosch University to assess the experiences of South African Caregivers in ALS – focusing the role youth play in caregiving, and how cultural, economic, and societal barriers and expectations influence the caregiving experiences. One goal of the project is to provide cross national data on ALS and caregiving between the US and South Africa, informing the development of targeted, culturally relevant programs. Los Voces: Assessing involvement of Hispanic children and youth who care for others. Student survey in collaboration with Bruce Guadalupe Community School and the United Community Center of Milwaukee. Survey of students in grades 4-8, focusing on student health related QOL, and cultural norms between caregivers and non-caregivers. Family characteristics and the youth caregiving experiences: A national pilot study of ALS caregiving. National study of families with ALS, including adults with ALS and children in the home. Goals include assessing the proportion of patients with ALS in the U.S. who have a youth caregiver assisting with caregiving; identifying family level characteristics and contexts associated with having a youth caregiver, as well as youth level caregiving stressors and strains, influencing the well-being in youth caregiver of a family member with ALS. Dr. Kavanaugh is a member of the free health clinic association in Milwaukee. She participates in a community collaborative with the Medical College of Wisconsin, Marquette University, and the United Community Center that develops community based research and programs in the Milwaukee Latino community. She has several upcoming projects with the collaborative including addressing transitions to care in Latino family dementia caregivers, and the involvement of Latino youth in family caregiving. Dr. Kavanaugh is a member of the Caregiving Youth Research Group (CYRC), center scientist in the Center for Aging and Translational Research (CATR) at UWM, and an adjunct assistant professor in the Clinical and Translational Science Institute at the Medical College of Wisconsin. As a member of the Huntington’s disease Study Group (HSG), she conducted a national survey of HD social workers that assessed training, barriers to care, and the future needs of HD social workers. She is developing work around end of life care in HD, prompted by her research in HD youth. In addition to her work with youth caregivers, Dr. Kavanaugh is interested in the role of social work in health care and the collaborative relationship around discharge and inter-professional education (IPE) among those working in social work, nursing, and medicine. Dr. Kavanaugh created this class, which in addition to the SW 811 health practice course, has added to the health focused curriculum for social work students at UWM.